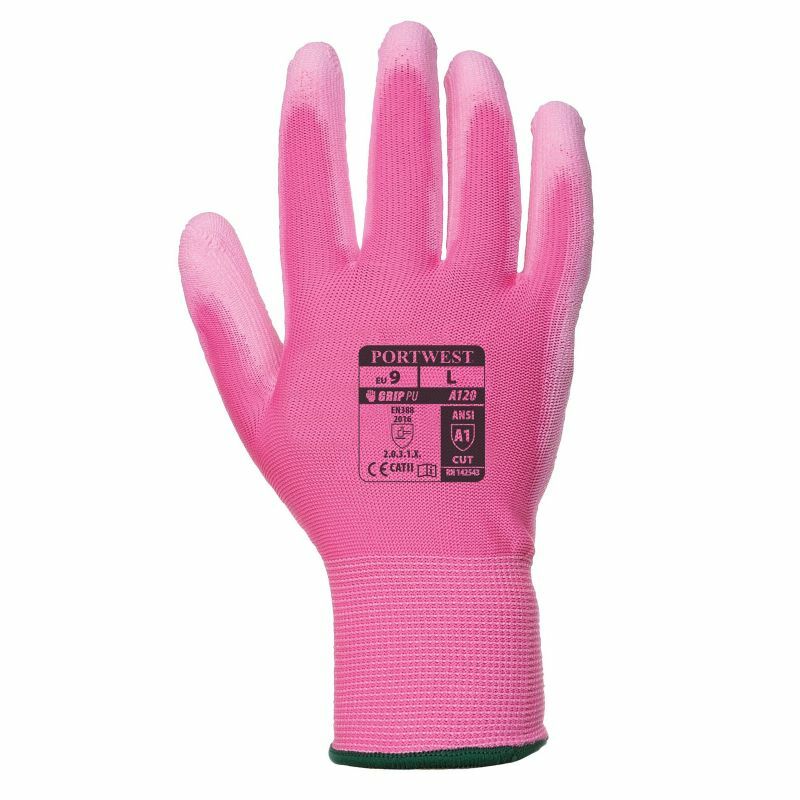 With a polyurethane and nylon liner, the Portwest Pink PU Palm Gloves A120P9 offer exceptional longevity, while enhancing productivity when undertaking general handling applications. 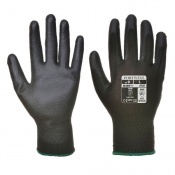 A PU palm coating ensures exceptional grip, while a breathable design and a moisture sapping inside liner keep hands cool, ideal for extended use. The Portwest Gloves are ideal for intricate tasks where dexterity and breathability are essential. A palm dipped design ensures outstanding grip, but it's their thin and sensitive 13 gauge liner that looks to enhance productivity in tactile applications. 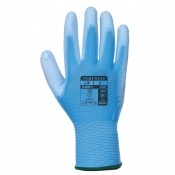 The Portwest A120P9 are available in four sizes that should be suitable for most users. To find your perfect pair, please measure the circumference and length of your palm and match the results to the table below. Fit very well, excellent for gardening, well priced.